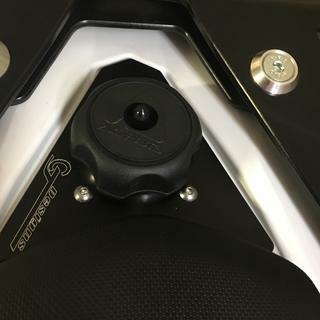 If you have a KTM 690, you know that accessing and using the stock fuel filler cap can sometimes be a hassle. With the CJ Designs Billet Fuel Filler Neck Kit you get a solution that solves several problems typically encountered with the stock components. With this kit you’re looking at a screw on cap and a fuel neck that attaches directly to your fuel tank, creating a secure seal using the stock O-ring. With these design changes, CJ Designs completely eliminates the chances of a broken key and greatly reduces that chance of dirt falling down into your fuel and obstructing your efi system?problems both encountered with the stock gas cap. This new designs still vents at the same 90 degree angle so you won’t need a breather vent cap, and after a fairly simple installation, the CJ Designs Billet Fuel Filler Neck Kit will get you back out on your 690 without the hassle of the old components. Works excellent. Much easier to use than factory filler. Easy Install with good instructions. Quality of product is fantastic. Durability is unknown as of now, because I haven't had it long. Shipping from RMATV/MC is fast. Bought this immediately for my '18 690. Works great, I prefer not needing to pull my key to refuel. I may rig up lanyard for it, I'm not the first to forget to get it back on after fueling. Love the look and better design. Price was steep but cheaper than replacing an injector from dirt. I like the design and function. Much better than stock and no key. I think the mounting screws should be a little longer. Was only able to get 2-3 full turns on each screw. Too expensive for what it is. Bought this when my factory gas cap started leaking. Fit the leaking and no longer required me to remove the key from my bike to do it. Fit and finish was excellent, installation was a breeze. For a model specific billet piece it really doesn't fit all that well. Just kind of sits in the general vicinity of the filler space while you guess at alignment and hope the o-ring stays in place. Still room for lot's of dirt to get down under it from the sides. Better than than the stock set up but only by about $20. Extraordinarily over-priced. This was the easiest install I think I have done, it fits prefect and gives the bike a really good look. Factory filler setup on the KTM 690 is not a very well thought out design, at least in my opinion. This fixes a important issue, along with making it easier to use/fill. Only small bummer is, this has to come off in the event you need to remove the rear fairing. Keeps the gunk from falling into the tank. Gunk will still get under the flange but the O-ring will keep it from getting in the tank. I'm gonna take some foam type stuff and make a seal for under the flange. In my opinion, this is something all 690 enduros should have. Easy to install and works exactly as you'd expect it to. Great product. Easy install and perfect fit. A much better design then the stock cap. Looks great and works great. You usually get what you pay for. Great replacement if you want an easy to fill gas neck. No key required! Put one on my 690 immediately after purchase and it still looks great. Only issue I had was the little rubber cover on the gas cap vent failed quickly. I just epoxied the hole shut as the filler neck has its own vent that uses the stock holes location under the seat. Where to get a replacement gas cap for this? 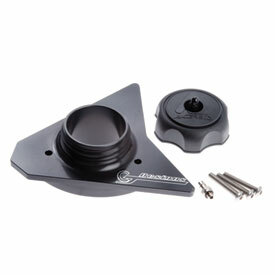 BEST ANSWER: Any Acerbis replacement gas cap will work on this kit. What is the internal diameter of the filler neck? Just used my caliper on my CJ filler neck. 41.77mm or 1.64". 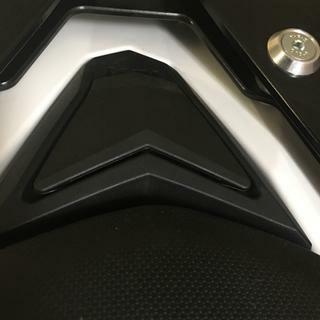 Will an Acerbis lockable cap fit this kit ? BEST ANSWER: I'm pretty sure that when I was reading about the neck before purchase that it uses the small Acerbis screw on cap and the small screw on locking cap also. Myself I'm with John T. Got this neck to do away with the key! Hope this is of help. Sorry not sure.. .. why lock it? A regular cap fits.... my guess so would a lockable.